In a surprise turn of events, Italy has withdrawn its request for Norway to extradite Islamic cleric Mullah Krekar, to face terrorism charges lodged by Italian prosecutors. Now it seems there are no grounds for his pending imprisonment in Italy, and Norwegian authorities ordered that Krekar be released as well. The 60-year-old Krekar already had been ordered held in custody in Oslo pending his extradition to Italy. It had recently been cleared by Norway’s Supreme Court. Norway’s Justice Ministry, however, received a letter from Italy’s prosecuting authorities on November 25, in which it was stated that the extradition request was being withdrawn. The withdrawal was said to be based on a custody order pending trial that was overturned on March 3. “There was no explanation as to why the custody order was overturned or why the extradition request hadn’t been withdrawn earlier,” Norway’s state prosecutor’s office (Riksadvokaten) wrote in a press release issued Wednesday afternoon. Nor had the Norwegian authorities received any earlier signals from the Italians that they no longer wanted Krekar to be sent to them. It nonetheless led to the immediate release of Krekar, leaving him once again a free man on Wednesday afternoon. “I am naturally relieved,” Krekar’s longtime defense attorney Brynjar Meling to Norwegian Broadcasting (NRK). He said he hadn’t received any reason for it either. 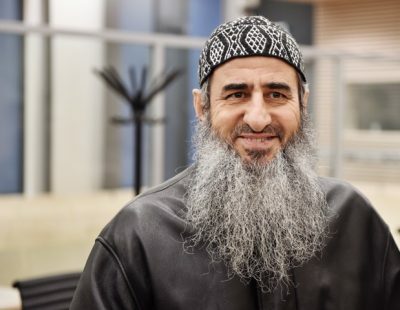 “The most important thing … is that this isn’t first and foremost a victory for Mullah Krekar or Attorney Meling, it’s a victory for the rule of law,” Meling told NRK, adding that he now thinks Krekar can demand compensation.